Aside from the "climber's high" I experience every time I climb, the feeling I get from trying my hardest, overcoming redpoint stress, mentally keeping it together on my climbing projects, and finally succeeding is a feeling not only of accomplishment, but of having overcome all the mental and physical barriers that had been holding me back on a send. It is a feeling like no other. 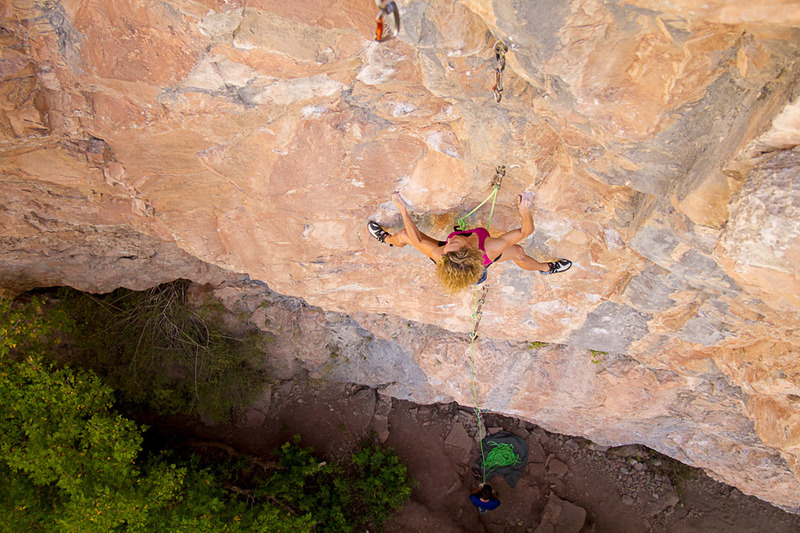 My most memorable climbing experience was when I sent my first 5.13b. I had redpoint stress, was falling continually at the same place, then getting right back on and sending to the top and was about to give up for the day, feeling depressed and angry at myself. Andrew Bisharat told me to soak my sore arms in the ice cold river (in Rifle Canyon) and give it one more try. He told me when he is about to give up for the day he always gives it one more try. I did this and sent at the end of the day. I don't know if "river arm" actually helped or if it was just his encouragement and psych that got me to give it one more try, but I was ecstatic with the send! My favorite place to climb is Rifle Canyon, Colorado. 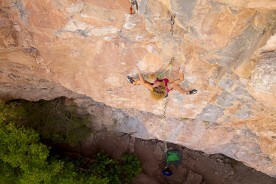 I love the process of projecting difficult routes and Rifle is a great place to challenge the mind as well as the body. The routes are like chess games you play with your body and ability. 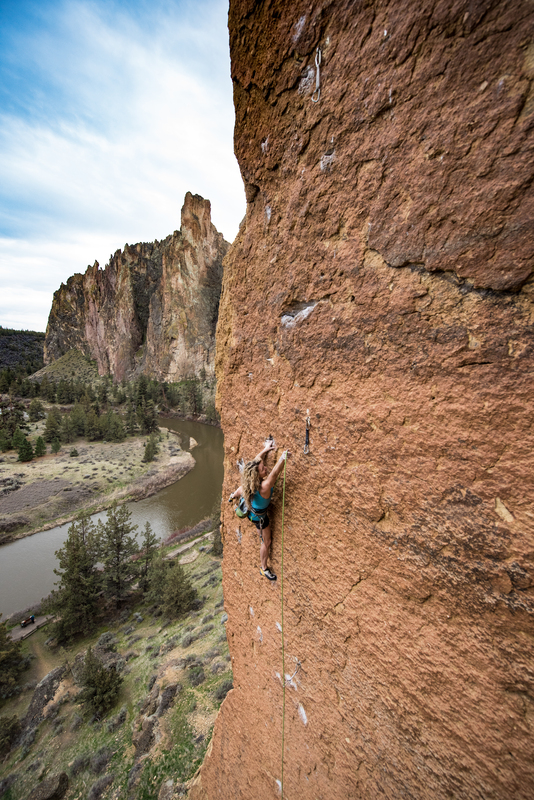 Many times, for me, it is essential to remember every foot placement and body position in order to send the routes. 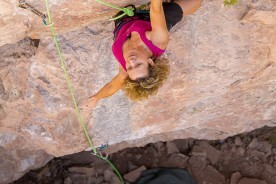 Melissa Love lives in Boulder, Colorado, is a rock climber, small business owner, Pilates Instructor, wife and mother of two young sons. She believes it is important to find solutions to pursue your athletic goals even as life gets busier and busier. She also values community development, living simply, and raising eco-conscious children. She has had the opportunity to see this beautiful world by climbing across the globe including Japan, Mexico, New Zealand and throughout Europe. Some of her favorite Limestone is in Colorado, however. 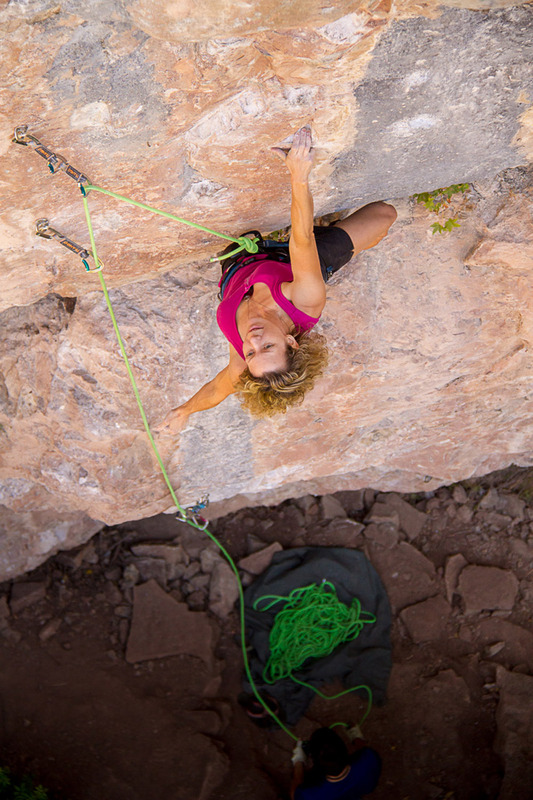 With the help of her supportive husband and climbing community, Melissa has been able to accomplish some of her hardest climbing goals after the birth of her first son, which include climbing “Cantina Boy,” a 13b in Rifle. 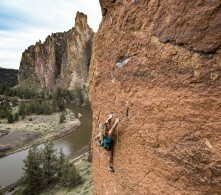 She continues to pursue more challenging sport climbing goals, as well. She thinks that finding ways to accomplish your athletic goals while spending time with your loved ones is one of the best things in life.